Oct. 13, 2015, 3:32 p.m.
Few people would have any moral qualms about quoting a single sentence from a 300-page book. But what about making a GIF out of a single play in a three-hour football game? The NFL apparently feels that crosses the line from fair use into copyright infringement. 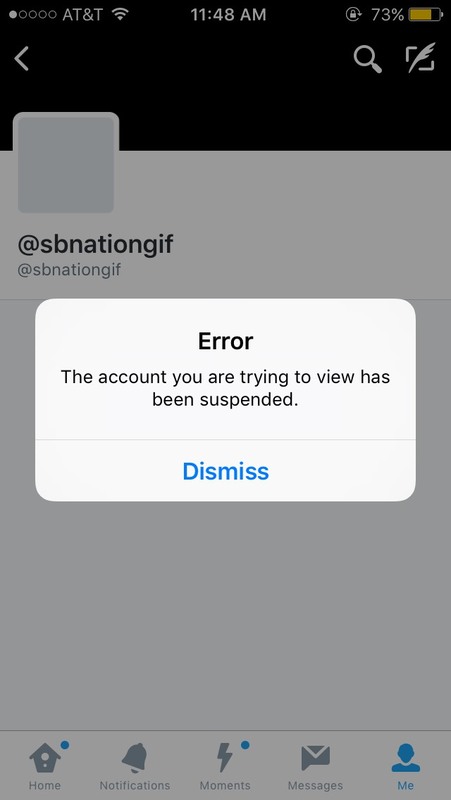 The Twitter accounts for Gawker-owned Deadspin and the Vox Media-owned @SBNationGIF were suspended last night. (The Deadspin account returned online later in the night, but its suspension still counted as “inarguably, THE WORST REPRESSION OF FREE SPEECH IN THE HISTORY OF MANKIND”. At the time of this post, @SBNationGIF was still suspended.) After much speculation over whether the NFL had directly demanded Twitter shut down the two accounts for posting league footage in the form of gifs or vines, a clearer picture has since emerged over what exactly happened. Aufderheide points to her center’s set of principles for fair use in journalism as a guide for journalists looking for some clearer answers on what content from another person or organization is okay to post and what isn’t. “It’s a question of, are you substituting for the original purpose, or is there a transformative purpose? Am I in a position where I no longer need to find the original?” Deadspin’s GIFs, she said, could be considered “newsworthy” and a “perfectly plausible way of highlighting what’s significant” about the game in a fun way that makes people pay more attention. @Deadspin and @SBNationGIF regularly post GIFs and vines of good plays (or just silly ones) from games, and have been doing so for a long time under implicit fair use claims. (Deadspin editor Timothy Burke has never been shy about journalists asserting their fair use rights.) Shouldn’t the NFL be okay with great plays reaching wider audiences, some would argue — isn’t that helping the sport, the same way traditional media coverage has? But fair use has always proved to be a difficult set of guidelines for publishers, interpreted to varying degrees of strictness by various people, and for some, better safe than sorry. For others, Deadspin and SBNationGIF’s suspensions were out of line (some are now crying foul over NFL’s recent deal with Twitter). They're afraid that folks will retweet Deadspin's GIFs instead of the official (ad-supported) GIFs tweeted by the NFL's own account. Wang, Shan. "Fair use or copyright infringement? Deadspin and SB Nation get tossed off Twitter for NFL GIFs." Nieman Journalism Lab. Nieman Foundation for Journalism at Harvard, 13 Oct. 2015. Web. 19 Apr. 2019. Wang, Shan. "Fair use or copyright infringement? Deadspin and SB Nation get tossed off Twitter for NFL GIFs." Nieman Journalism Lab. Last modified October 13, 2015. Accessed April 19, 2019. https://www.niemanlab.org/2015/10/fair-use-or-copyright-infringement-deadspin-and-sb-nation-get-tossed-off-twitter-for-nfl-gifs/.